We’d love your help. 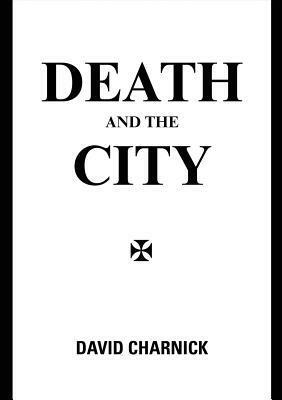 Let us know what’s wrong with this preview of Death and the City by David Charnick. To ask other readers questions about Death and the City, please sign up. Taking his inspir I am not a native Londoner, and so the best part of this city’s fascinating death history, apart from the obvious historic claims to fame, like the traitors of the Tower of London and those who faced ignominious death on Tyburn Hill, have passed me by. However, it is both refreshing and enlightening to have an intelligent collection of stories, which add a thoughtful interpretation to what may have happened to the ordinary people who died in this fascinating and compelling city. Taking his inspiration from folk history, David Charnick has used the places and institutions with which he is familiar, and has incorporated these into a series of sharply focused short stories, which endeavour to carry the reader through the vagaries of the city, from the early days of the Roman settlement, through to the more modern, and no less appealing proximity of death as it appears to the current inhabitants of London. Running like a thread throughout the narrative, is the author’s obvious love for the city he calls home, which is combined, not just with fine attention to detail and meticulous research but also with an obvious talent for storytelling. There is a sentence towards the end of the book which states “But no-one sees the ghosts of the little people”. I am sure that David Charnick’s intelligent and thought provoking narrative has ensured that the ghosts of the little people, and the voices of the dead are now very much seen and heard.